Storey Publishing, LLC, 9781580176781, 208pp. Add some colorful fun to your crafting! 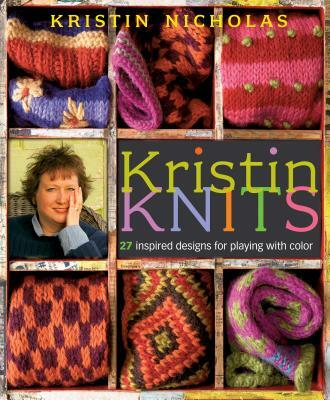 Kristin Nicholas applies her magical way with color to stunning new designs that bring knitting alive. Concentrating on 27 patterns for hats, mittens, scarves, socks, and sweaters, Nicholas uses her distinctive palette to create knitted art. Believing that everyone can have fun with color, Nicholas encourages you to develop your own unique designs. Get inspired and experiment with different yarns and color combinations as you knit cozy creations that showcase your personal style. Kristin Nicholas was named one of Vogue Knitting's Master Knitters of the '90s and has designed knitwear for Vogue Knitting, Family Circle Knitting, and other major magazines. She is the author of Colorful Stitchery and three other books on knitting. Kristin lives in western Massachusetts with her husband, daughter, and assorted farm animals.